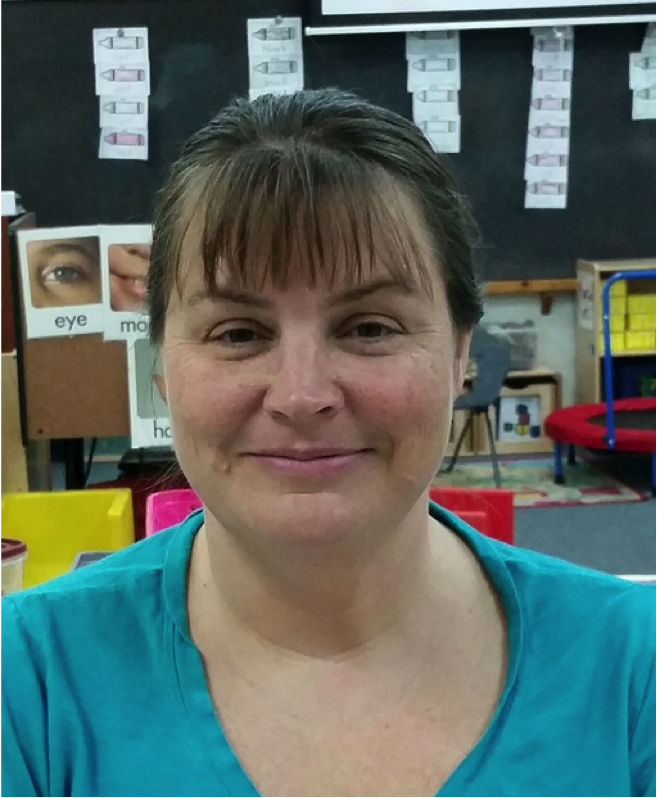 Kristy Byers began using Rethink at the beginning of the 2014/15 school year. What she has found most valuable about Rethink is its capacity to facilitate collaboration: “With Rethink, my whole team–paraprofessionals, speech therapists, etc.–can easily keep up with each child’s progress and work with them on appropriate skills,” Kristy explained. She has also had success collaborating with parents. By sharing Rethink’s graphs and reports, she has found it much easier to keep parents abreast on their child’s progress and encourage participation in their child’s growth. In the relatively short time that Kristy has been using the Rethink program, she has seen significant progress in some of her students with the most intensive needs. For instance, at the beginning of the year one of her students came to her with severe echolalia–communicating only by echoing or repeating other people’s speech. Using Rethink strategies and lessons, Kristy collaborated with the student’s learning team to set up a plan and began to work on teaching him appropriate greetings. “One day, after we’d been working with the student for about 2 weeks,” Kristy explained, “he entered the classroom, and when I said ‘good morning’, he said ‘hi!’ It was so exciting!” Now, 2 months later, he is communicating independently with very few (if any) echolalic phrases and his whole world of communication has opened up to him. His parents are thrilled because his learning has carried over into the home environment as well! Challenging behavior in the classroom is one of the most highly discussed topics in public education. Teachers frequently report that disruptive behavior is their greatest concern and has a significant impact on their job satisfaction. This session will focus on what teachers do best – facilitate student learning and teach students new skills. Direct instruction in social skills promotes skill development in pro-social behaviors and reduces challenging behavior. When students have social skills in their repertoire they don’t have to rely on challenging behavior. Dr. Patricia Wright, is Rethink’s VP of Professional Services and a Board Certified Behavior Analyst. Prior to joining Rethink, she was the National Director for Autism Services at Easter Seals, one of the largest social service providers for individuals with autism. Dr. Wright has a passion for education and has dedicated her career to ensuring that individuals with disabilities are fully included in society. Click the button below to learn more about social emotional wellness with a FREE on-demand webinar!